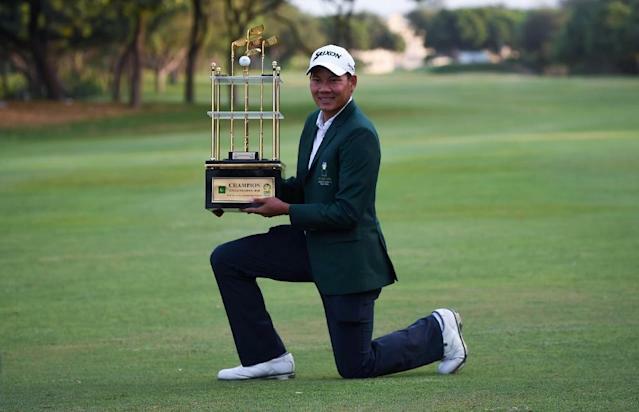 Jubilant Thai golfer Tirawat Kaewsiribandit soared to victory Sunday in the first international golf event to be held in Pakistan for over a decade. "It was difficult in the beginning but I believed that I could win," Kaewsiribandit told the media after winning the UMA CNS Open Golf Championship at a comfortable 12-under par. Mohammad Muneer of Pakistan finished third at 10-under par, with a full field of 132 international players competing, marking an important step for a country which has spent years in the international sporting wilderness. An attack in 2009 on a bus carrying Sri Lanka's national cricket team -- in which eight people were killed -- led to the cancellation of all future sporting events. But successful military operations in the country's northwest and crackdowns in urban centres, including the restive port city of Karachi, have improved the situation. The country has twice hosted Pakistan Super League cricket finals featuring international stars, plus successful limited-over series against Zimbabwe and Sri Lanka in the past 18 months. These have cleared the way for more international sporting events with squash, tennis and now golf having returned.